— We’ve got two different endigs here for you. — But there were supposed to be 32 of them? The end of 2016 appeared memorable not only by unexpected turntwists in the 7th season of The Walking Dead which was finally able to surprise those, who had enough patience to watch through all the rest. 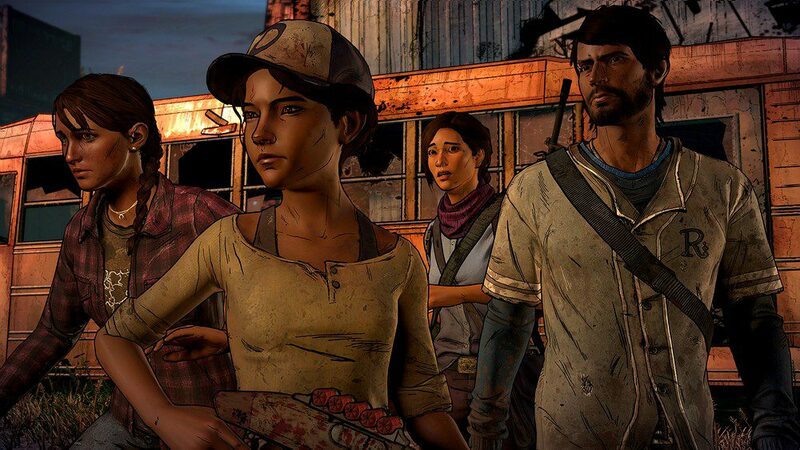 We can remember this year also by The Walking Dead: A New Frontier. And that is what we will talk about. It’s no surprise that everything works here according to certain rules of a genre. With every episode Telltale repeat themselves more and more. It happens until the end of an episode, when action SUDDENLY twist in an unexpected direction. That’s why you just keep waiting until the whole game comes out. It’s almost impossible to live through the night without playing it. Time after time, we had new stories, new charachters and old zombies. 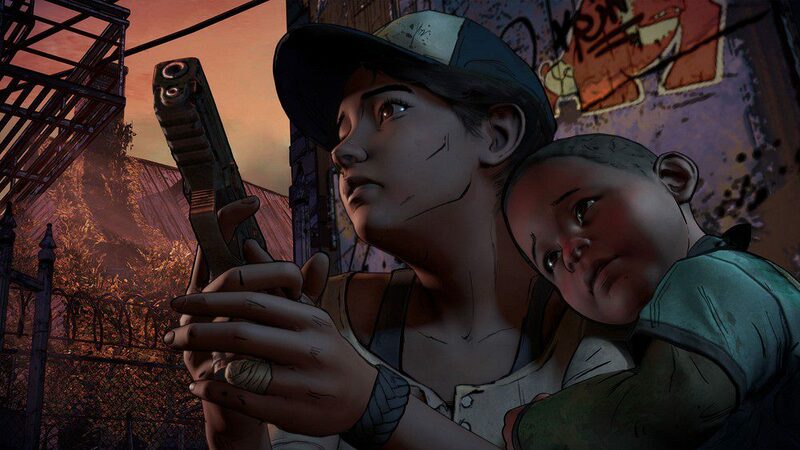 Only joy was Clementine, whom everyone loved rom the very first episode of the very first season. The girl is some kind of a golden thread between the episodes. She was the only element that was telling you that you are still playing the same game. And she was great. 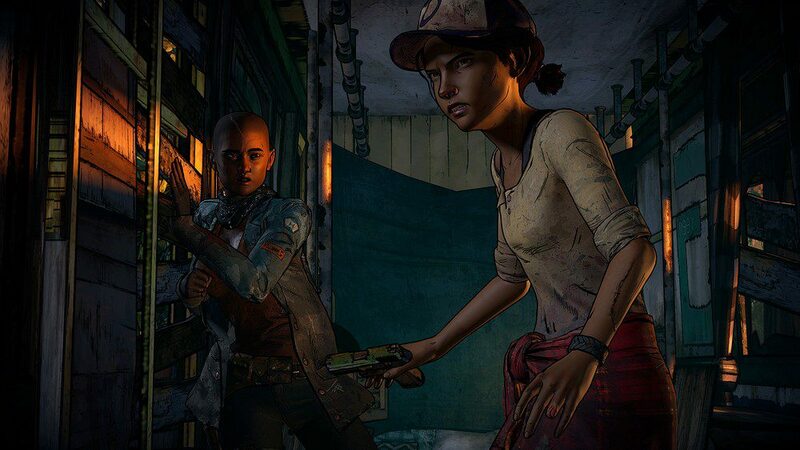 Not everybody loved Telltale games, so after years of not very flattering words, people decided to give Clem a chance. The only thing we can still recognize in her now is the cap. She’s not a little girl anymore. We can see how “new life lessons” affected her, just as much as new skills she was taught (Lee, we remember you, bro!). After four years, the heroine has grown up a lot. She learnt how to shoot, she’s not afraid anymore. Cruelty is a daily routine now. Just as before, she’s got a new “foster-parent” – Javier. He doesn’t make an impression of a careful dad, but tries to be stronger for her. 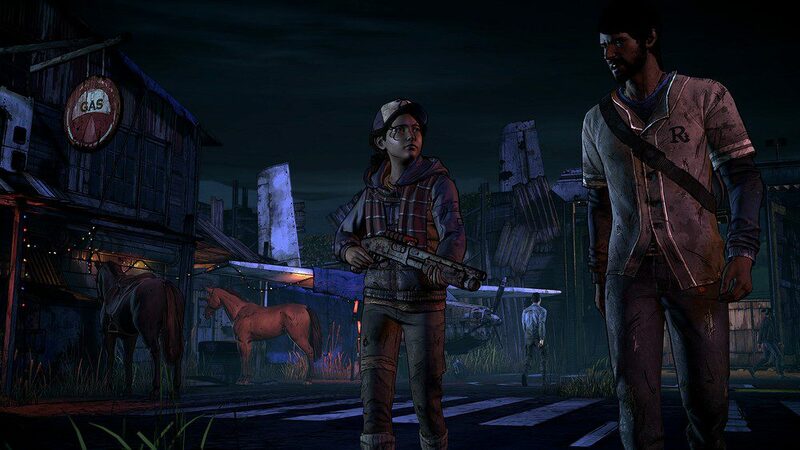 He and Clem are equal, and that’s something. As we advance in the gameplay, we meet familliar charachters, as well as newcomers, who will share the time of playing. Thankfully, the TWD system won’t make you suffer from dying charachters. Talking simulator, if you will. You have to chose between different lines in the dialog and free to walk around small locations with a few camera angles, solving puzzles and QTE in dynamic situations. The rest of the time is given to enjoy visuals and dialogues. For those, who have been playing games illegaly (which we do not support) or simply haven’t played at all, developers prepared the prologue mode, where you can chose sides in key events that took place. Works well, if you want to try every story line, but don’t want to play all games over and over again. Now the key link between seasons is a vital part of the game. 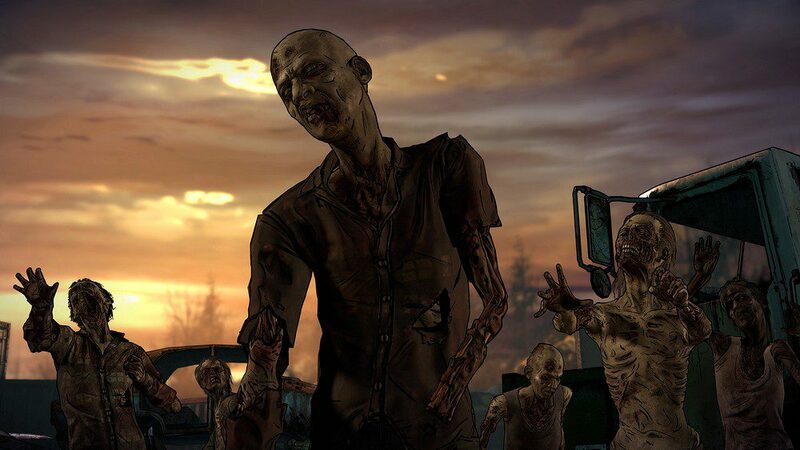 Telltale did it smart. Now, due to the prologue constructor, we have 42 lines of story. In short terms, The Walking Dead is so far so good. It’s no revelation, there is nothing new in terms of gameplay, but it’s a completely new, amazing world of a well-known Clementine. It was a great choice to concentrate the story on the girl. 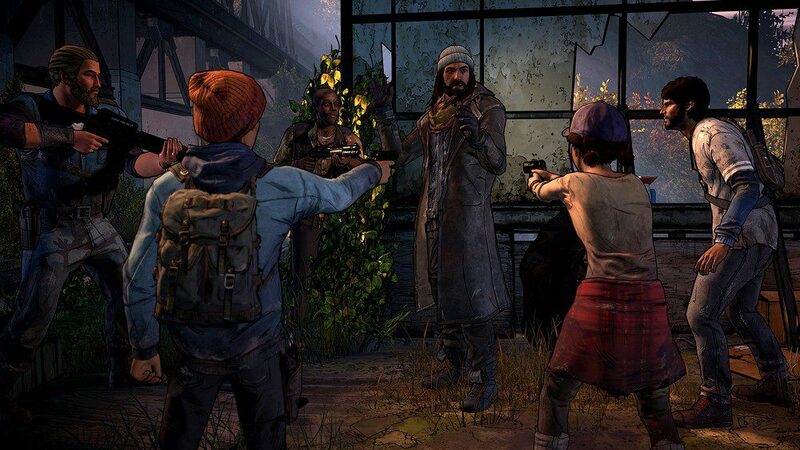 Exactly what players wanted from TWD. And even though they are talking about 42 story variations, we know there will be 2 endings only, which is fine. Verdict — 8.5 stabbed wounds out of 10.